Over the next few weeks, I am going to share some stories of finding money and other valuables while decluttering homes and offices. 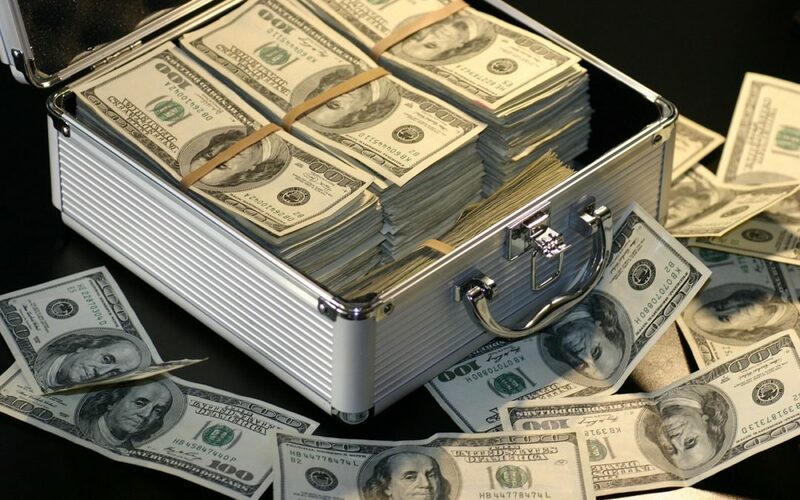 It is not unusual to find money and valuables when clearing clutter from homes and offices. In fact, it is unusual to not find money or other valuables. Whether it is cash (yes, I have found envelopes bulging with cash in my clients’ paper piles), uncashed business checks (even when the client assured me there were no uncashed checks lying around), uncashed rebates or refunds (twice I have found insurance refunds to more than cover the cost of my services! ), and unused gift cards (these are exactly the same as cold hard cash), and missing savings bonds. Additionally, I have run across missing birth certificates, death certificates, important letters, precious photographs, missing pieces of family history, urns (yes, I have located ashes of a beloved spouse as well as cremated family pets). Professional organizing is more involved than one might imagine. Ruthie, an elderly client was leaving her home of over 20-years and moving into an independent living facility. She was given my name by a Realtor® who specializes in serving the senior community. Ruthie and her son contacted me and asked me to clear the home of the remaining contents so that she could get it listed for sale. Ruthie’s son had traveled in from out of state to help his mom, but the process had moved slower than he had anticipated and he needed to get back home. Ruthie and I met for an initial consultation at the home she was vacating. Even with all the work she and her son had done, the home was still 3/4 full of things; a lot of it unusable and even more of it was simply garbage. There were piles of papers, clutter, and unwanted clothing and household items everywhere. I asked Ruthie if she had left anything of value in the house that needed to be set aside for her to pick up later. She assured me that she had taken everything of value from the home and she directed to me to throw away, donate, or otherwise dispose of everything that was left. I informed her of my policy of not “clean-sweeping” homes (tossing everything into dumpsters, garbage bins, or donating without taking a little bit of time to look at them). 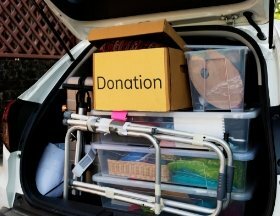 Sure, it is a faster (and more profitable) way to clear out space, but I know from experience that paper piles and cluttered spaces often contain forgotten or lost valuables. And such was the case with Ruthie. I started in the living room and worked my way through the dining room, kitchen, and into the family room. In the very back of the built-in buffet, I came upon important paperwork and vintage photographs that belonged in Ruthie’s family history records. In a large shoebox, I found original documentation and photographs from their time in the military. I had also located a DD-14 form, their military separation paperwork, which Ruthie had been frantic trying to locate. I set these items aside for her to pick up later in the day. From there, I worked my way through the laundry room, guest bathroom, spare bedroom, and into the master bedroom and bath. The master bathroom cabinets and drawers still contained a lot of cleaning supplies and personal products. The countertops were covered in accumulated papers, magazines, junk mail, newspaper articles, and the like. While quickly flipping through the papers and tossing them into a recycle bin, I ran across a large baggie. Inside was a gorgeous vintage jewelry set. 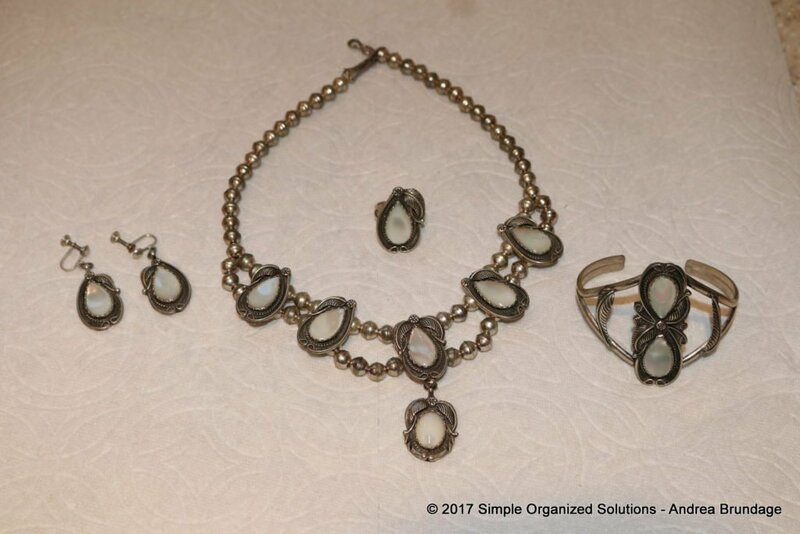 It was a southwestern-style necklace, ring, bracelet, and earrings made of sterling silver and each piece was set with a white stone. The tiny yellowed price tag was still attached to the necklace by a thin yellowed string. I set the baggie aside to deliver to Ruthie that afternoon when I completed the job. I called Ruthie to arrange a visit at her new apartment under the guise of wanting to drop off her donation receipts. She was happy to see me, and she was also happy that her home was now completely cleared out and ready for the repairman who had a lot of work to do before she could get it on the market. Ruthie’s eyes lit up when I told her that I had found something in her master bathroom that may be of value to her. I pulled out the baggie containing the jewelry set and when she saw it, her hand immediately went to her heart. “Oh my goodness! Where did you find this?” she exclaimed. As it turns out, approximately 50-years earlier her now-deceased husband had bought and sold authentic Native American jewelry for a living. And fifty years ago, he had gifted her this beautiful and very sentimental jewelry set. Had I done a “clean sweep” of the accumulated papers instead of taking a little bit of extra time, I would have tossed out her precious jewelry with the piles. It would have been quicker, and it would have been easier, and it would not have been the right thing to do. My assumption that she might have missed some valuables was correct. I don’t know the value of the jewelry I found in Ruthie’s bathroom, but I assume like everything else, it fluctuates with the markets. Tell me in the COMMENTS below, what was the most valuable thing you ever found when you cleaned up your home or office? What have you lost that you know is in the mess… “somewhere”? Do you like the idea of potentially finding money, valuables, or lost items in your piles of stuff? Do you want to work with someone who really cares? If you do, click the image below to contact Andrea now.